If you're looking for some easy going fun and games to break the ice and get people mixing and mingling at your wedding reception then you've come to the right place! 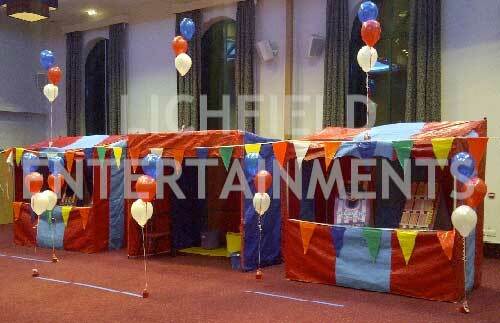 As you can see from our website we have a huge range of games available but those featured on this page are the ones that we have found to work particularly well at wedding receptions. Fairground style games are a great idea as they can be played by everyone irrespective of dress code and without the need to be an exhibitionist! 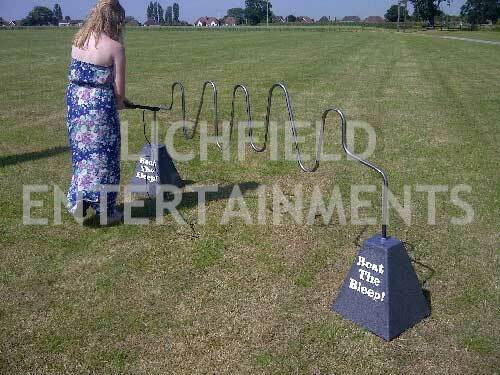 In our fairground game range we have a traditional Coconut Shy, a more compact Inflatable Coconut Shy where you aim for target holes rather than real coconuts, other Side Stall games such as Hook a Duck, Ring the Bull, Play your Cards Right, Crossbow Shoot, Feed the Clown, Splat the Rat, and Cork Gun Shooting Range. We also have a Test you Strength High Striker and a Milk the Cow game. These games can be set-up both indoors and outside. We have a selection of giant games including the usual favourites such as Connect 4, Jenga, Twister, and Noughts and Crosses. We even have a giant Body Bits game that's a massive 7ft version of the giant operation type game we all played as kids complete with buzzer and flashing red nose! Giant Wonky Buzzer Wires are frustratingly addictive games that always attract a crowd of willing participants who are all sure they can do better than the previous player and we have three different variations of this game. We have our 'Standard' Giant Buzzer Wire which is a rechargeable table top game that takes up a space of approx 3ft wide. Next we have our 'Automated' version that again needs a width of approx 3ft. This one has an automatic time limit of 60 seconds to complete it and allows you three lives that are indicated by illuminated LED lights that go out one at a time as and when you touch the wire. It also has a heartbeat type soundtrack that speeds up as your time to complete the game runs out. Finally, we have our Mega 10ft Buzzer Wire and this ones a floor standing game that runs from a rechargeable power pack. Our Crazy Golf is great game that appeals to both children and adults and is another game that can be played in either formal or non-formal dress code. It can be supplied as individual holes or as a complete six or nine hole course complete with scorecards and pencils. 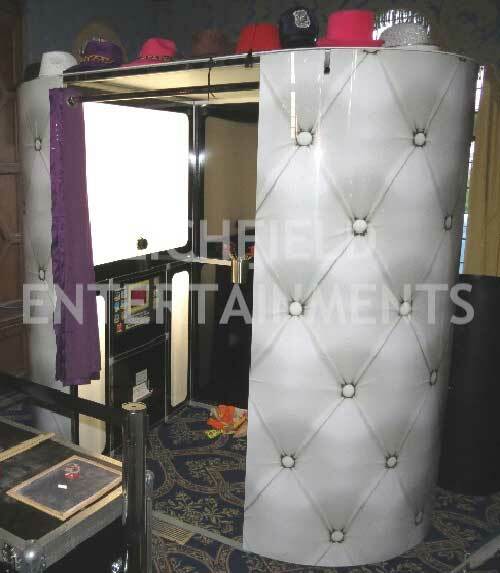 A Photo Booth is now the must have item for your reception and our booths can be configured as either a traditional fun booth with cloth background curtain or a greenscreen booth with amazing themed backgrounds created by the greenscreen technology. Your guests can either choose their background theme from the on screen selection or we can set the backgrounds to meet a specific theme if required. 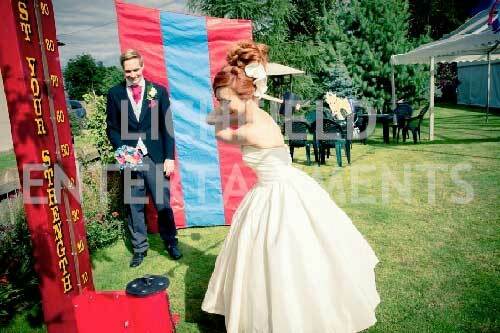 Your guests get to take away their print as a momento and you get a CD containing digital copies of all photos. 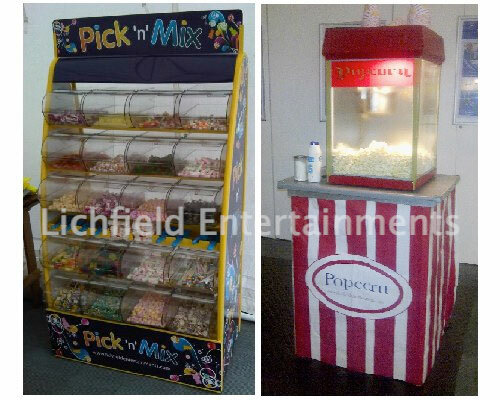 We have fun foods such as Popcorn and Candy Floss	and Pick n Mix stands that are popular and can be used either before or after the wedding breakfast. They're available either staffed or unstaffed. 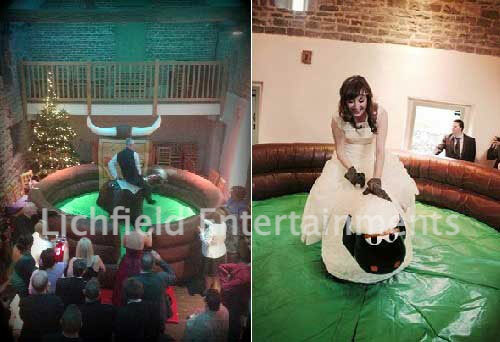 Rodeo rides like our Rodeo Bull, Bucking Sheep, and for Christmas time weddings our Rodeo Reindeer provide a more energetic entertainment but are always popular. 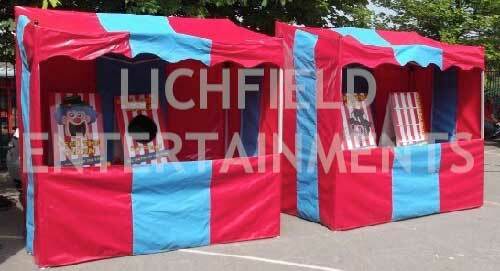 When used outdoors we provide an inflatable weather shelter free of charge. 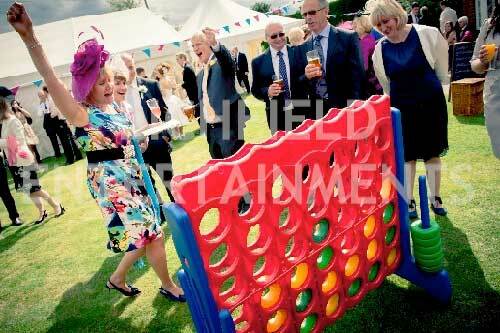 To discuss the games and activities we can supply to get people mixing and mingling at your wedding reception please get in touch via enquiries@lichfieldentertainments.com or call on 01283 792974.